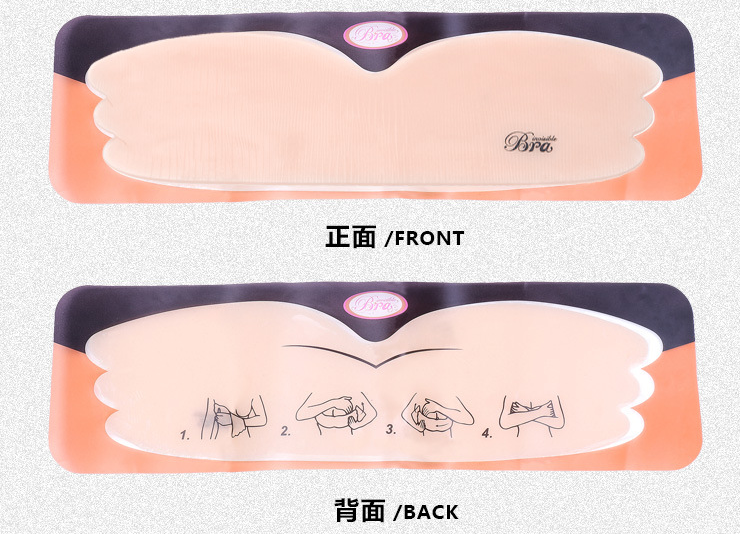 The Invisible silicone cloth bra is refined by advanced cloth, which is very light and breathable. It retains the special functions of non-back clasp and self-adhesiveness as the commom invisible bra. Combining with the advantage of push-up as the wire bra, it could make females sexier. Forever care invisible cloth bra, which is close-fitting, brings you a new feeling of freedom. You can match it with the invisible, backless, or halter dresses. And show as you like. Special Design : Reusable if cared for properly and easy to apply; Push your breasts up; Deep V shape. Suitable Clothing : Attach directly to the skin, great to use with strapless and low-cut outfits and dresses, such as wedding and evening dresses,swimwears,vest and halter tops etc.